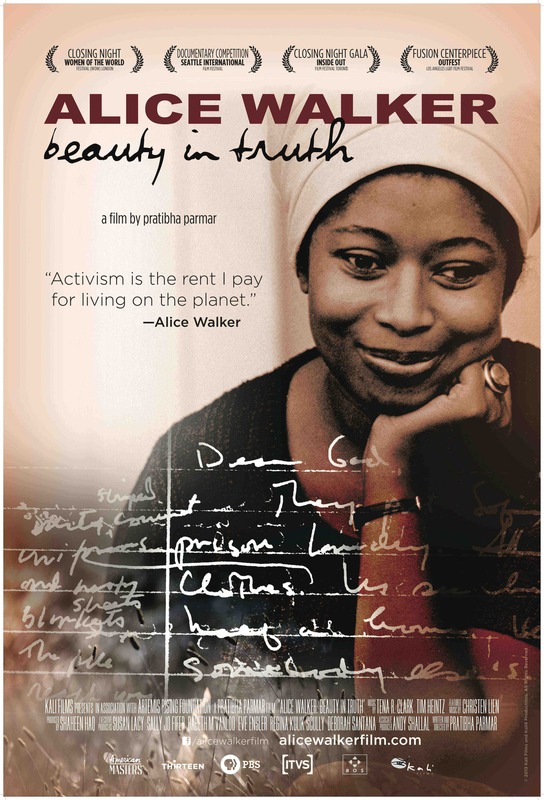 ALICE WALKER: BEAUTY IN TRUTH tells the compelling story of an extraordinary woman. Alice Walker made history as the first black woman to win the Pulitzer Prize for fiction for her groundbreaking novel, The Color Purple. Her early life unfolded in the midst of violent racism and poverty during some of the most turbulent years of profound social and political changes in North American history during the Civil Rights Movement. Mixing powerful archival footage with moving testimonials from friends and colleagues such as Howard Zinn, Angela Y. Davis, Gloria Steinem, Beverly Guy-Sheftall, Quincy Jones, Steven Spielberg and Danny Glover, ALICE WALKER: BEAUTY IN TRUTH offers audiences a penetrating look at the life and art of an artist, intellectual, self-confessed renegade and human rights activist. "...a much needed contribution to the slow but ever growing archive of African-American women who have indelibly shaped our discourses of race, gender, sexuality, class, and oppressive regimes of power." "An intimate, exquisitely rendered portrait of one of the great artists of our time." "Parmar has given us all an opportunity to gain both understanding and encouragement from one of humanism’s great exemplars." 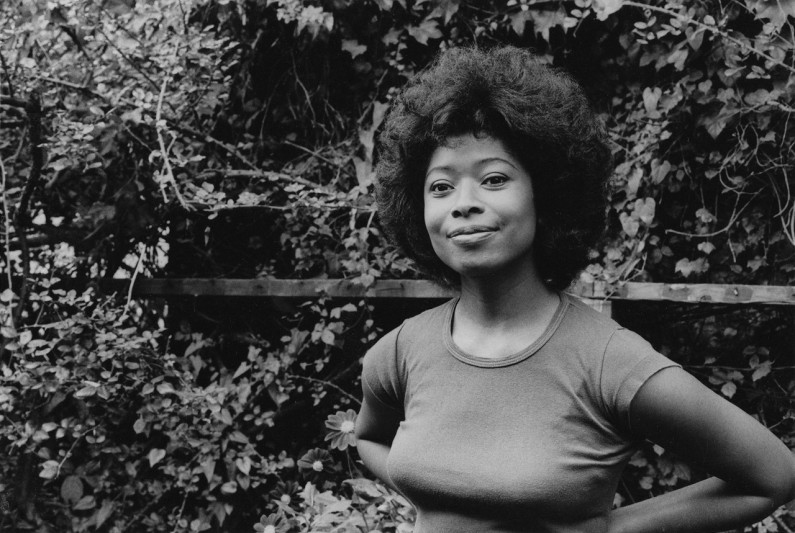 "Alice Walker is one of the great thinkers of our time, and has changed the lives of so many women with her ideas - this rich and honest film tells a story that we all need to hear." " The ultimate impression left by Pratibha Parmar’s eloquent film is of a courageous life full of risk but full of joy too." "...inspiring and informative… Parmar presents audiences with a detailed landscape of the “beauty” and “truth” of Walker’s life"
"A compelling and inspirational documentary." "Alice Walker: Beauty in Truth is a dazzling, courageous portrait of the extraordinary life of a living legend. " "Parmar's film masterfully presents Alice Walker's revolutionary story as integral to American history." 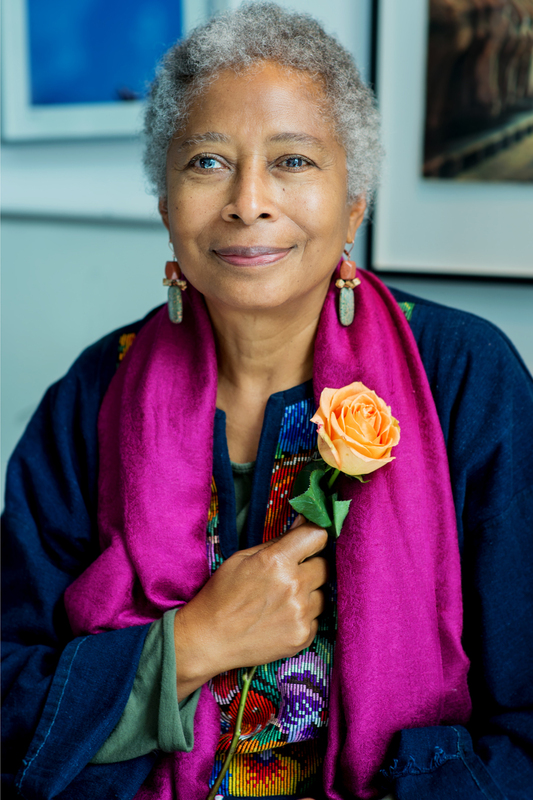 “Pratibha Parmar’s documentary on the life’s work of Alice Walker is the director’s invitation to exalt with connected, layered complexity the artist, the activist, the woman, the person of colour as cultural icon..."
"...a perfect piece of filmmaking. Worthy of the sold-out screening and standing ovations it received." "...attractively made doc will delight those who are passionate about Walker..."
Filmmaker Pratibha Parmar has an exemplary track record for her passionate commitment to making films with integrity and illuminating untold stories with visual flair and imagination. Her award-winning work has been widely exhibited at international film festivals and broadcast globally. Pratibha’s dedication in bringing complex subjects into mainstream media has helped change the contours of popular discourse on race, feminism, sexuality and creativity. Pratibha’s credits include A Place of Rage, a documentary film on African-American women and the civil rights movement featuring Angela Davis and June Jordan. The film received international critical acclaim and was named Best Historical Documentary at the National Black Programming Consortium in the U.S. In 1993 Pratibha released her most challenging film Warrior Marks, which documented female genital mutilation at a time when the subject was taboo globally. 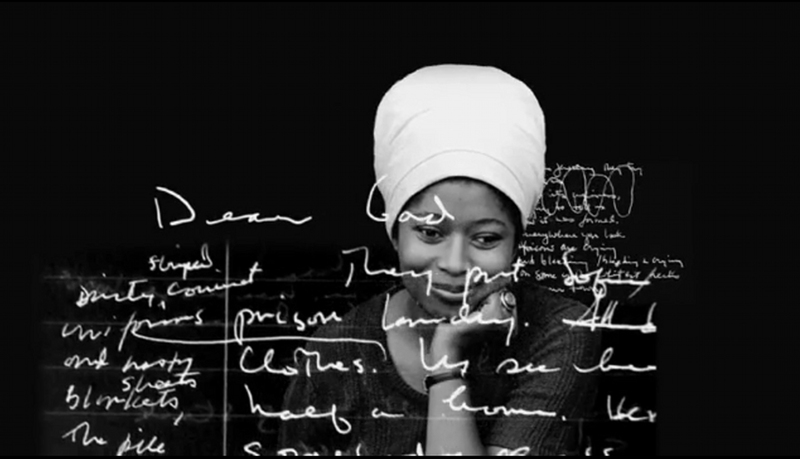 This award-winning documentary was made in collaboration with the Pulitzer Prize-winning novelist Alice Walker. Parmar and Walker collaborated on the book Warrior Marks - Female Genital Mutilation and the Sexual Blinding of Women, which documented the making of the film (Jonathan Cape UK, Harcourt Brace US). Nina’s Heavenly Delights, Pratibha’s multi-award winning narrative feature film debut starring Shelley Conn & Laura Fraser was released theatrically in the UK and US in 2006/7 and nominated for a GLAAD Award. Author and editor of several books, Pratibha was awarded The Visionary Award for her body of work from the One in Ten Film Festival in October 2007 and is a past winner of the Frameline Film Festival Life Time Achievement Award. This powerful documentary is a moving tribute to legendary black lesbian feminist poet Audre Lorde, One of the most celebrated icons of feminism's second wave. Who's Afraid of Kathy Acker? Thirteen years, two radical activist all-stars-one conversation. Internationally renowned scholar, professor and writer Angela Davis and 89-year-old grassroots organizer and Nobel Peace Prize nominee Yuri Kochiyama spent over a decade conversing intimately about personal histories and influences that shaped them and their overlapping experiences. MOUNTAINS THAT TAKE WING offers the gift of these two remarkable women’s lives, sharing the pair’s recorded exchanges in 1996 and 2008. The film’s unique format honors the scope and depth of their knowledge on topics ranging from Jim Crow laws and Japanese American internment camps, to Civil Rights, anti-war, women’s and gay liberation movements, to today’s campaigns for political prisoners and prison reform. Intercut with compelling period footage, Davis and Kochiyama’s cogent observations, keen analyses, and steadfast resolve to create a more equitable, humane world offer inspiring lessons in empowerment and community building for current and future generations. Structured as a personal journey of rediscovery by filmmaker Jennifer Lee, this documentary brings the momentous first decade of secondwave feminism vividly to life. Its trajectory starts with the earliest stirrings in 1963 and ends with the movement’s full blossoming in 1970—from the Presidential Commission’s report on widespread discrimination against women and publication of Betty Friedan’s Feminine Mystique up through radical feminists’ takeover of the Statue of Liberty and Friedan’s calls for a women’s strike for equality. A wealth of period footage captures landmark events and the pivotal roles of the National Organization for Women (NOW), the Equal Employment Opportunities Commission (EEOC), the Student Nonviolent Coordinating Committee (SNCC), Redstockings, and other organizations. Thirty-five diverse interviewees, including rank-and-file activists along with well-known feminists Betty Friedan, Frances M. Beale, Gloria Steinem, Robin Morgan, Ti-Grace Atkinson, and others, share memories of the period as well as issues and challenges that still resonate today. A great introduction to Women’s Studies and critical viewing for historians and academics interested in feminism, activism and the Women’s Movement. LOVE BETWEEN THE COVERS was selected as the #1 choice of all 2015 videos by the American Library Association's Booklist Review. Romance fiction outsells all other genres of writing, from crime to science fiction, combined. So why is the genre so often dismissed as frivolous "scribble"? Could it be that it's because the overwhelming majority of writers and readers are women? This funny and inspiring look into a billion dollar industry turns up trailblazers who push the discussion on gender, race, sexuality and diversity at the front lines of the biggest power shift in publishing. In LOVE BETWEEN THE COVERS Emmy Award® Winning director Laurie Kahn (TUPPERWARE!, A MIDWIFE'S TALE) turns her insightful eye towards another American pop culture phenomenon: the romance industry. Creating online empires and inventing new markets are authors like Beverly Jenkins, a pioneer of African American romance, Len Barot (aka Radclyffe, L.L. Raand), a surgeon and lesbian-romance legend who started her own publishing house, and the incomparable Nora Roberts. This documentary offers fascinating insights into the history and popularity of this female-centric literary world. An inspiring film by award winning documentary filmmaker Jennifer Abod, PhD (THE EDGE OF EACH OTHER’S BATTLES: THE VISION OF AUDRE LORDE). THE PASSIONATE PURSUITS provides a window into the life of Angela Bowen who grew up in inner city Boston during the Jim Crow era, and went on to become a classical ballerina, a legendary dance teacher, a black lesbian feminist activist organizer, writer and professor. For six decades Bowen has influenced and inspired untold numbers, speaking out as strongly for the Arts, and Black and Women’s Rights as she has for LGBTQI Rights. Candid, compelling, and inspiring, PASSIONATE PURSUITS depicts Bowen's life across the decades, with archival footage, timeless musical selections, photographs and interviews. Bowen’s stories reveal how the challenges of race, class, gender, age, and sexuality played into her decisions and strategies for survival. PASSIONATE PURSUITS is important to anyone who wants to know more about the experiences and complexities of black women’s lives and the emergence of Black Feminism.